Anton Black's death in police custody has roiled a rural town on Maryland's Eastern Shore and left his family yearning for answers. GREENSBORO, Md. (AP) — Inside the home Anton Black shared with his mother, a collage of photographs pays homage to a gifted athlete and aspiring model on the verge of becoming a father. The makeshift shrine is adorned with track-and-field medals Black proudly wore in one photo. This is how Black’s mother wants to remember her son. She can’t bear to watch body-camera video that captured the final minutes of the 19-year-old’s life, which ended during a struggle with police officers outside the same mobile home. That evening, Jennell Black watched as her handcuffed son shouted, “I love you!” before his last breath. “I knew he was dead,” she recalls. The African-American man’s death in police custody has roiled a rural town on Maryland’s Eastern Shore and left his family yearning for answers. They aren’t satisfied by the conclusions of a county prosecutor, who isn’t pursuing charges, or the medical examiner who ruled Black’s death accidental. They want a federal investigation and help from Gov. Larry Hogan, who’s expressed a personal interest in the case. The family waited months for autopsy results after Black’s September 2018 death in Greensboro. An autopsy report, dated Jan. 23, was released two days after the Republican governor expressed frustration at the pace of the investigation. On the evening of Sept. 15, 2018, Greensboro officer Thomas Webster IV confronted Black in response to a 911 call from a woman who drove by and said she saw Black dragging a 12-year-old boy down a street. While police treated the call as a suspected kidnapping, Black’s family say the 12-year-old was a friend and wasn’t in danger. Webster’s body camera shows Black running away when the officer told him to put his hands behind his back. Officers chased Black before he locked himself inside a car parked outside his family’s home. An officer shattered the driver-side window with a baton and shocked Black with a Taser before Black got out and struggled with three officers and a civilian. Stepping outside their home, Black’s mother screamed her son’s name after officers wrestled him down on a wooden ramp. “Anton, stop, baby!” she said as he struggled. They reassure his mother that Black will be fine. About 30 seconds later, the officers turn the handcuffed Black onto his back and check for a pulse. “He’s breathing,” a voice says as the officers then lean Black, unresponsive, against the home. Nearly three minutes later, his mother notes her son is “turning dark.” Officers remove his handcuffs and perform CPR. Black later was pronounced dead at a hospital. The medical examiner’s autopsy report says Black’s congenital heart condition, mental illness and stress from the struggle likely contributed to his death. The report says Black’s medical record showed he recently was involuntarily hospitalized and diagnosed with bipolar disorder. His relatives say they aren’t aware of any such diagnosis or heart problem. The autopsy lists more than three dozen scrapes and bruises on Black’s body. His family says that’s evidence of excessive force on somebody who wasn’t a threat. “They were all chasing him like he done killed somebody. This boy didn’t have no weapons, no guns, no knife, no nothing. He was just walking down the road with his friend,” said his father, Antone Black. Caroline County State’s Attorney Joseph Riley last month announced he isn’t asking a grand jury to consider charges, saying his office can’t prosecute “tragic acts.” In a statement, Riley said the autopsy report shows there’s no evidence Black was choked, struck by officers or had force applied to his neck. Webster was placed on administrative leave, months after Black’s death, but returned to active duty following Riley’s decision. The state Department of Public Safety and Correctional Services plans to review Greensboro’s hiring of Webster, who was acquitted in 2015 of assaulting a man while an officer in Dover, Delaware. His acquittal was disclosed on his application for state certification, which granted him police powers in Maryland last year. The state agency only recently learned of other “use of force” reports involving Webster’s time in Dover, said department spokesman Gerard Shields. 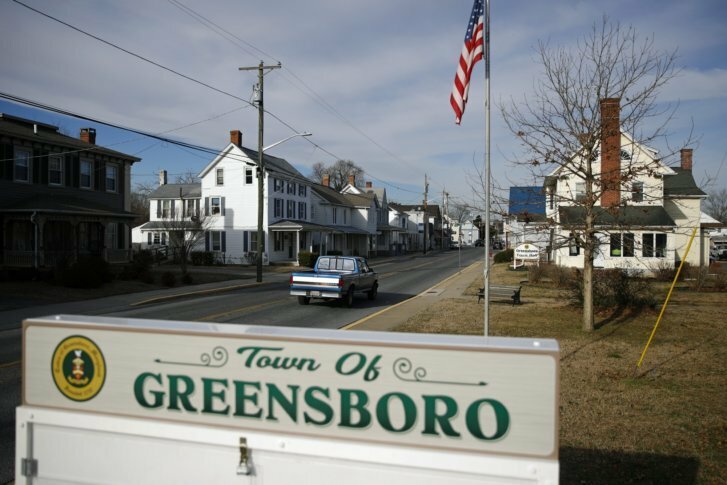 Webster is white; so is about three-quarters of Greensboro’s roughly 2,000 residents. Jennell Black says her son’s death divided the town, but she’s received support from neighbors, even strangers. In January, she recalls, a white woman whose daughter knew Anton approached her and said, “I am so sorry what they did to him,” before crying. “They just want us to be quiet and go away and act like Anton’s life didn’t matter, but Anton’s life mattered,” she said. Black’s family rejoiced at the birth of his daughter, Winter, in November. But the family’s grieving again after Anton’s older brother, Brandon Jackson, died Feb. 2 of an apparent drug overdose, according to police. The family buried Jackson at the same cemetery where Black was laid to rest.